Oakland’s Grand Lake Theatre is a 1926 Art Deco show palace that first hosted vaudeville shows and silent movie screenings accompanied by the bass-note oscillations of a Wurlitzer Hope Jones Unit-Orchestra Pipe Organ. The classic venue is symbolic of its city, which made it the ideal spot for the Bay Area premiere of a the debut feature by another Oakland icon: activist, musician and now writer-director Boots Riley, who came of age as a moviegoer at the venue. “I saw Star Wars here,” he told an audience that packed the house during the recent San Francisco International Film Festival, where the subversive dystopian comedy played as the centerpiece. “The real one,” he added, to much laughter. “The fake one, too.” The filmmaker, whose work was nurtured by SFFILM – the festival’s parent organization – has long been a public figure in the city, as the leader of the irrepressible underground hip-hop outfit The Coup and an organizer of the Occupy Oakland movement. Scheduled for release by Annapurna Pictures this summer, Sorry revels in tongue-in-cheek social commentary elevated by a fearless embrace of the ridiculous, affectionately spoofing the predicament of its affable anti-hero Cassius Green (Lakeith Stanfield) who is seduced by a bizarre telemarketing conspiracy run by evil Silicon Valley mastermind Steve Lift (Arnie Hammer). From its all-too-relevant observations on race and tech-generated paranoia to the surreal flourishes of its mise-en-scene, the film feels like an atypically life-affirming Black Mirror episode gone madly funkadelic, its counter-cultural jollies a welcome echo of such troublemakers as Melvin Van Peebles and Robert Downey Sr.
Festivals as expansive, inclusive and ambitious as San Francisco’s feel more important than ever at a time when a film’s premiere and its arrival on Netflix may only be a matter of days. They fight against what I’d call the “eventfulness deficit” of the streaming era by creating a sense of unique value – or instilling a bad case of FOMO, if you will – that marks the difference between the one-time-only appeal of the hottest ticket and the ho-hum ubiquity of whatever’s larding up the digital queue. With its bounty of vintage bijous and abiding investment in the Bay Area’s arts scenes, the festival thrives by cultivating native resources. Which brings us, always, back to the Castro Theatre, where another cultural institution surveyed its long and storied career as the stars and subject of Sam Green’s latest “live documentary,” A Thousand Thoughts. The Kronos Quartet returned to the cinema, where last year it performed the live soundtrack to Guy Maddin’s Vertigo homage The Green Fog, only now the string players themselves were on-screen as well. Something like The Beatles of contemporary chamber music, the quartet made an ideal collaborative focus for one of Green’s multi-media spectacles, co-written and directed with Joe Bini, Werner Herzog’s former editor. The ensemble’s 40-year history is preserved in a voluminous archive, to which Green had full access, but as suits the Kronos mission of advancing the work of living composers, the musicians’ physical presence and stirring renditions of work ranging from minimalist godfathers Terry Riley and Philip Glass to Inuit throat singer Tanya Tagaq gave the evening a palpable emotional charge. Musings on time and mortality flowed into contemplations of music as an emanation of the sublime, evoked in the still, perfect image of the flowing-bearded Riley stretched out for a grassy nap under the trees at his northern California ranch. Likewise bucking convention was Matangi/Maya/M.I.A., the biographical documentary on the British/Sri Lankan performer Mathangi “Maya” Arulpragasam. When the subject herself is taken aback by what’s on display in a fully authorized project made by a close pal from art school it’s a good sign that the filmmaker did the right thing — only, in this case, the designation of full creative authorship is more complicated. That befits M.I.A., who won mainstream celebrity with the 2007 hit “Paper Planes” (amplified by its prominence on the soundtrack to Slumdog Millionaire), and has happily played provocateur onstage and off, clashing with The New York Times and the NFL, among other controversies. She also has been documenting her adventures since she was first able to get her hands on some video gear, acting in effectas her own cameraperson, collecting hundreds of hours of footage that she handed over to Steve Loveridge years ago. Instead of a vanity project or a performance-driven film, however, the director fashions a very M.I.A.-like collage out of every sort of format (including old family home movies of a childhood Maya), toggling back and forth chronologically to reveal what shaped his subject as an artist. Much of it has to do with an absent father, a leader of the militant Tamil Tigers, and fleeing her home country amid government oppression of her ethnic minority, finding refuge and release in a vibrant, polymorphous London cultural scene. It may not be the documentary the singer expected, but it thoughtfully captures the unguarded face of an artist who rejects easy categorization. 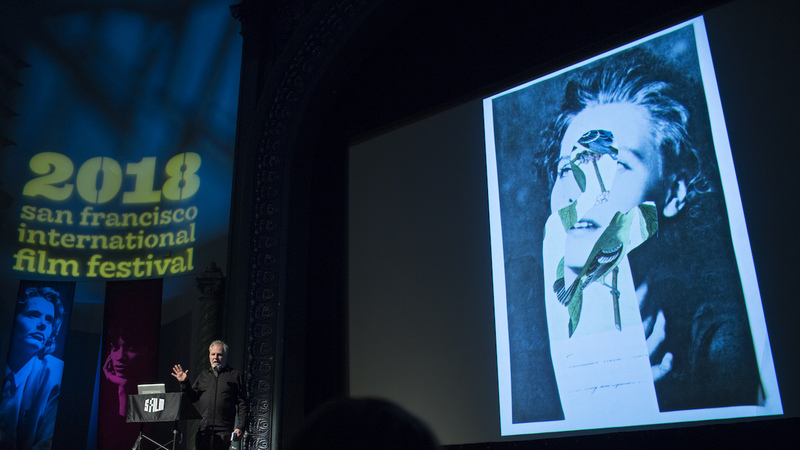 Beyond such marquee attractions, the festival offered another round of its annual LAUNCH program, world premiere titles given a boost towards greater visibility by SFFILM. The all non-fiction slate touched on environmental themes (The Human Element) and offered portraits of challenged youth (The Rescue List, Tre Maison Dasan, Wrestle) in its roster of five socially alert titles. There were sidebars on science-themed films in collaboration with the Alfred B. Sloan Foundation, and a magically rambling talk by festival favorite Maddin on the future of cinema that somehow conflated Marlon Riggs, obscure Norwegian silent cinema and an analysis of a random radiator shot in Ed Wood Jr.’s Glen or Glenda. And, as ever, there was a wealth of new international cinema, which is where the programming so strongly distinguishes itself. Some favorites included Winter Brothers, Danish filmmaker Hlynur Pálmason’s portrait of loneliness, mayhem and desire set against the dismal backdrop of a snowbound mining village. There, the hapless Emil (Elliott Crosset Hove, in a performance that is, in the most literal sense, balls to the wall) is the factory’s bullgoose looney, on the losing end of a sibling rivalry with his better-looking and more psychologically composed brother Johan (Simon Sears) and likely culpable for poisoning his co-workers with crude moonshine he distills from stolen chemicals. The film’s formal compositions and clangy sound design heighten a tone of absurdist banality, while Hove’s passion gives Emil a necessary, and excruciating, humanity. San Francisco’s soaring real estate prices and homeless crisis made an inadvertently apropos setting for the American premiere of The Other Side of Everything. The Serbian documentary uses the curious fate of one family’s Belgrade apartment – sectioned off under Tito’s regime to also house strangers who lurked behind peepholes – as a prism into the country’s complex post-WWII history but winds up as loving portrait of filmmaker Mila Turajlić’s indomitable mother, Srbijanka Turajlić, an academic and highly public democracy activist who briefly served in the country’s government after Milosevic’s fall. When the sealed doors are finally cracked open, it’s as suspenseful a moment as in any thriller, but underscored with sardonic humor.